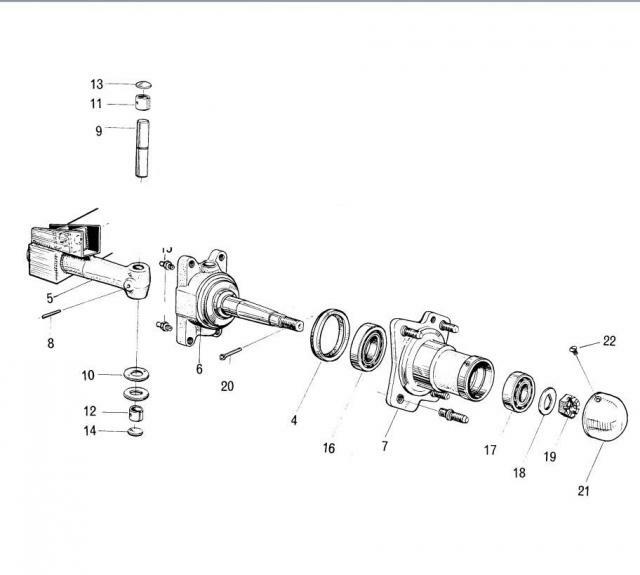 Exploded diagram of the Reliant three-wheeler front hub/kingpin assembly. The steering arm bolts to the back of the part labelled 6 in the drawing. from the hub which attaches it to an A-arm and picks up the suspension strut.